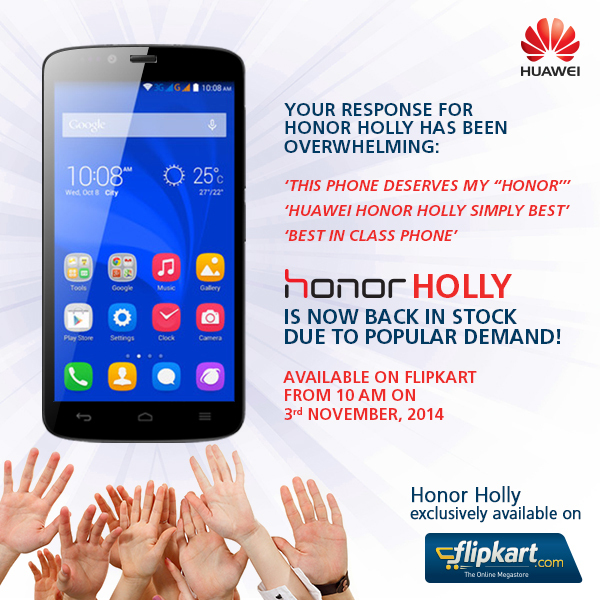 #HonorHolly is back in stock due to popular demand! Available @Flipkart from 10 AM on 3rd Nov, 2014. Limited stocks!!! !